Recently the American auto giant Ford revealed its mid-year 2016 sales in the Philippines automotive market and celebrated a growth of 61 percent sharp in comparison to that of the same tenure in 2015. Indeed it’s a wonderful news for the company which is proudly standing on the 3rd spot in sales in this market with a market share worth 10 percent as per the recently revealed report by CAMPI. While the company has a really sumptuous and power-packed fleet for all the segments from hatch to sedan and crossovers to pickups, the SUV is one segment which is attracting the Filipinos like anything. Amongst the Ford fleet available for the Filipinos, Ford Everest is the model which has contributed the best in the encouraging sales of Ford Philippines. The authorities have revealed the sales numbers of its best-sellers, the Everest, which counted to 1054 units in June 2016 and 6961 units between January and June 2016. Though these numbers are for the Philippines automotive market only, but the popularity is no less in other countries also. The robust SUV shares the segment and fights a tough competition with Toyota Fortuner and Isuzu mu-X in the Philippines automotive market. 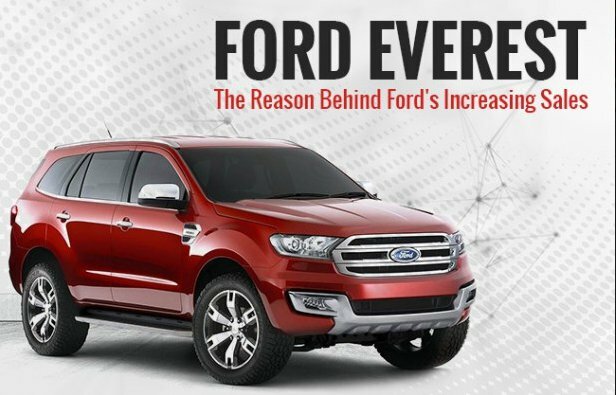 In spite of this competition, Ford Everest has managed well to enhance the overall sales of its parent company and making it move closer to the 1st spot which is captured by Toyota in the Philippines right now. Ford Everest is one sturdy SUV available for the Filipinos which is engineered for the off-roading. This American beast is available in 2- wheel drive and 4-wheel drive layouts across its variants for the convenience of its customers. With a minimum ground clearance counting to 225 mm, the new Ford Everest makes sure that you can drive on any terrain you wish; after all, not every SUV comes with such a high ground clearance. New Everest has the best of American brand’s legacy and true off-roader’s DNA, which give that much-required confidence to the driver to take it on varied terrains without any hitch. To tackle the rough terrain, Ford has packed its trustworthy Terrain Management System which allows the driver to shift-on-the-fly to the maximum stability and traction for optimum control on such driveways. The off-roading capabilities of Ford Everest are not restricted to rough terrains and you can feel the same smoothness and ease while driving on highway or city roads of in water also. 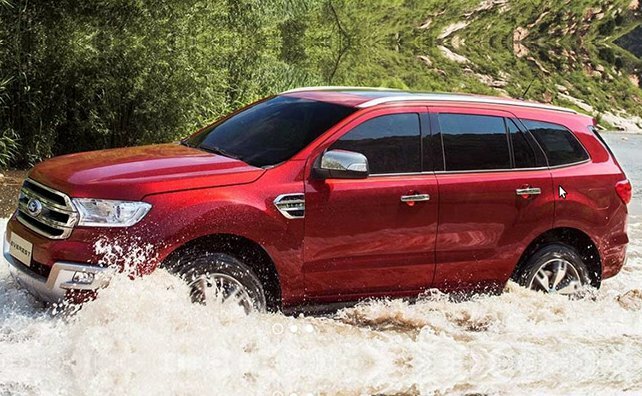 The manufacturer claims that through Ford Everest, it offers the best in class water wading capability of 800 mm which no other drive is capable of at present. For the Filipino customers, Ford Everest is offered in Ambiente, Trend, Premium and Titanium trims from which the first 3 have a 2.2-litre power unit while the Titanium is offered with a choice of 2.2-litre and 3.2-litre engines. 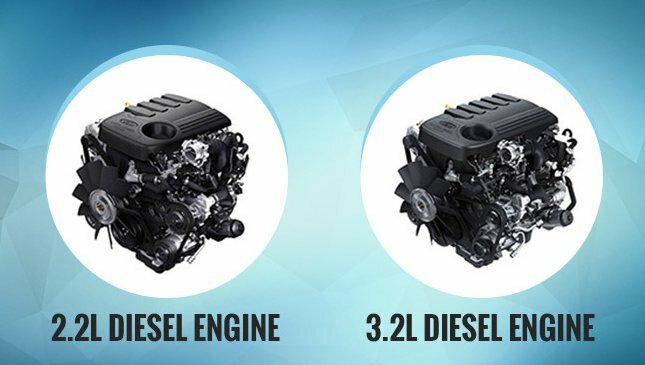 Both the engines are tuned to generate thrilling power which is expected from a Ford SUV. Talking about the 2.2-litre engine first, this mill churns out a maximum power counting to 160 PS at 3200 rpm and a maximum torque measuring 385 Nm between 1600 and 2500 rpm. The bigger sibling, the 3.2-litre engine, knocks out a peak power showing to 200 PS at 3000 rpm and a peak torque of 470 Nm between 1750 and 2500 rpm. Both of the powertrains are coupled with either a 6-speed manual or automatic transmission to offer that thrilling performance promised by Ford. Usually, this aspect is offered only in high-end SUVs but Ford being a pioneer automaker has decided to allow it in this SUV to enhance the convenience and safety fronts. 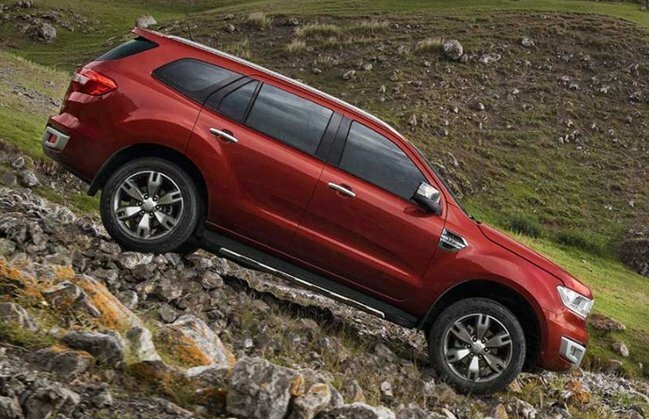 With this feature in your Ford Everest, you can now descend steep hills in an absolutely controlled manner, without any fear of slipping or skidding from the terrain. The Hill Descent Control feature offered in this SUV controls the brakes ensuring steady downhill. Adding to this feature is the Hill Launch Assist which adds comfort during downhill. So, next time when you plan to take such terrain, there is no need to give it a second thought with your Ford Everest. Slip into the well-packed cabin of Ford Everest and you would know that this SUV is not about power and performance. Along with a thrilling power and off-roading capabilities to enjoy, this SUV has got a well-arranged cabin loaded with comforting aspects to make your traveling fun and enjoyable. The American manufacturer has not compromised on the comfort front and so gifted its cabin an ample amount of space to accommodate 7 passengers with best of the comfort. Not only in the cabin, Everest offer sufficient space at its rear to pack your big luggage bags for the weekend trips. The standard boot in this SUV counts to 450 litres which is expandable up to 2010-litres after folding the 2nd and 3rd-row seats to flat. The cabin of Everest comes furnished with power windows, cruise control, and electrochromic rearview mirror. 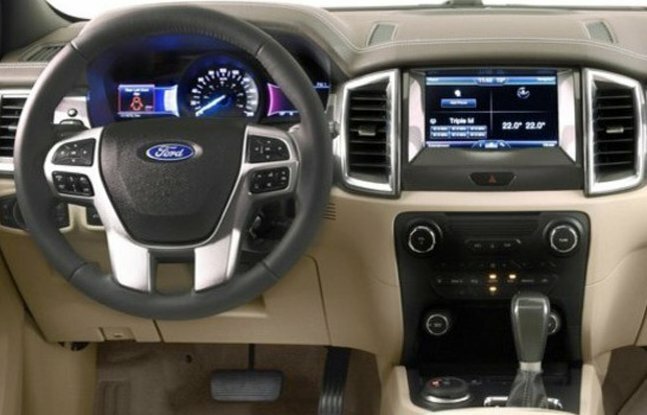 An advanced infotainment facility comprising Bluetooth, USB, AUX, 8-inch TFT touch display, SD card slot and 10 speakers is also plotted in this Ford SUV. Ford knows that how important it is to make the occupants feel absolutely safe while traveling in its cars and since SUV are meant for off-roading, they should be packed with advanced safety features. Well, Ford has been very considerate and cautious while packing the safety aspects while is evident from the numerous things carried by this adventure-ready drive. There are dual front, side, curtain and driver’s knee airbags for the optimum safety in an event of a hit or crash. This protection is further strengthen by Electronic Brake-Force Distribution (EBD), Roll Stability Control (RSC) and Anti-Lock Braking System (ABS) which ensure complete stability and control on the vehicle while driving on slippery and uneven terrains. Ford Everest is also equipped with a volumetric burglar alarm and remote keyless entry as a standard feature in all trims while the upper trims enjoy the advantage of having My Key (Ford Signature Feature), adjustable speed limiter and Rear Park Assist. The new Ford Everest is offered at a starting price of PhP 1.339 million which falls for the base variant, i.e., Ford Everest Ambiente 2.2 4×2 MT.